After 55 years, the US Treasury is purging “out-of-date” names from its Cuban embargo list, resulting in the removal of dead people, sunken ships and bankrupt companies. The department removed 45 “specially designated nationals” from a list created during the US’s five-decade-long commercial, economic and financial blockade against Cuba, Reuters reported. The ousted names included 45 companies and people like Amado Padron, a Cuban executed by firing squad 26 years ago, along with Arnaldo Ochoa, a decorated general who was sentenced to death by Cuba’s communist government because of his connections with international drug trafficking. The US bans those designated on its list from trading with US people or companies, and any caught doing so are heavily fined. The purging is being done by the Treasury's Office of Foreign Assets Control (OFAC). "While these removals are not related to the recent changes to our Cuba sanctions program and rather reflect OFAC's consistent effort to review and update its SDN list, these de-listings are in line with the President's Cuba policy," the OFAC told Reuters. The Treasury also removed 28 companies and 11 vessels from the list, some that had either sunk or were inoperable. Several companies were dissolved but the list also included several viable firms connected to Cuba’s tourism industry, including cruise lines and tour operators. President Barack Obama made a historic announcement on December 17, 2014, stating that in discreet negotiation he agreed with Cuban President Raul Castro to restore diplomatic relations between the two countries and essentially break the Cold War stand-off that had existed for over 50 years. Since the announcement, some financial transactions, including the sales of computer technology and construction materials, have been eased. Importers are now able to buy from Cuban independent contractors. 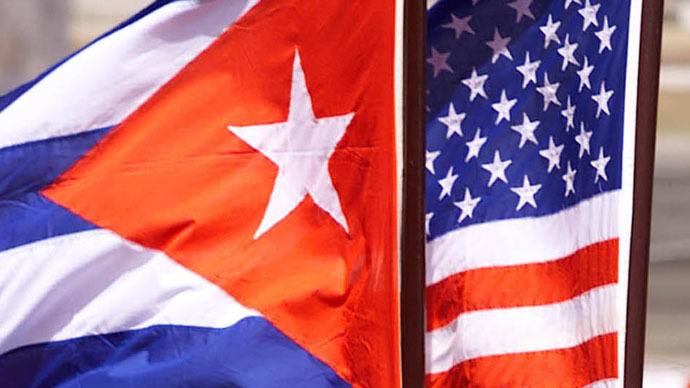 The US and Cuba remain engaged in talks over normalizing their relationship, with Cuba pushing to be removed from the American list of state sponsors of terror and the US looking to secure an agreement on opening embassies in April.